The failed attempt to bring international justice to Syria has bolstered calls to reform the veto-power of permanent members of the UN Security Council when dealing with mass atrocities. Meanwhile, the resolution that would have asked the ICC to investigate contained provisions undermining the prosecutor’s ability to deliver impartial justice. For three years, the world has watched as the situation in Syria has descended into chaos and humanitarian catastrophe. There is well-documented evidence that war crimes and crimes against humanity have been committed, and continue to be committed with impunity. Yet the Security Council—hamstrung by a few powerful countries with the ability to veto any action—has repeatedly failed to hold those responsible to account. Despite the support of over 58 UN member states and 100s of civil society groups in the run up to the vote, a resolution drafted by France referring the matter to the ICC for investigation was last week vetoed by Russia and China – the first time such a referral has been vetoed (The referrals of Darfur in 2005 and Libya in 2011 both passed). In the end, the draft resolution was co-sponsored by 65 states, including several non ICC members such as Rwanda and the United States, the latter having previously opposedICC intervention. The other 13 Council members (11 of these ICC members) all voted in favor of the resolution. The Russian and Chinese vetoes have come in for widespread condemnation. The Council’s failure to bring justice to Syria shines a spotlight on the problem the veto creates: that one of the permanent five members—the US, Russia, the United Kingdom, France and China—can prevent an otherwise united Council from acting. The Coalition for the ICC has taken a strong stance against the inappropriate use of the veto to block action addressing war crimes, crimes against humanity and genocide. We endorse a French initiative as a process to adopt a “code of conduct” that would see permanent Council members refrain from using their veto to block action to prevent those crimes. Following the failure of the ICC Syria referral last week, we called on members of the UN General Assembly to address the inappropriate use of the veto, which has prevented the Council from carrying out its responsibilities to maintain international peace and security. 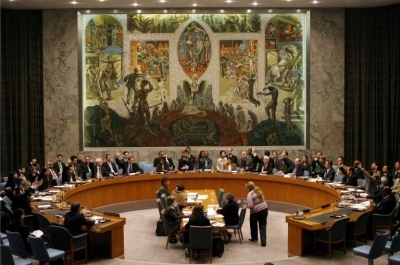 The veto and other issues related to the working methods of the Security Council were discussed earlier this month at an event on the Security Council Report’s Special Research Report on Security Council Working Methods. At the event, Ambassador Christian Wenaweser of Liechtenstein spoke in support of limiting the use of the veto. Swiss Ambassador Paul Seger, coordinator of the ACT(Accountability, Coherence and Transparency) group, said that the use of the veto will be one of the group’s focuses in the coming year. While civil society organizations were in general supportive of an ICC referral, the Coalition sent a letter to UN member states expressing concern at several provisions in the draft resolution. One such provision exempted the citizens of non-ICC members from the Court’s jurisdiction in Syria. The Coalition stressed that this provision undermines equality of the law, and the ICC along with it. We also criticized the draft resolution for failing to address funding for any investigation resulting from the referral, leaving ICC states parties to foot the bill. Finally, we faulted the draft resolution for not including a specific obligation for all UN member states to cooperate with the Court. Each of those three provisions has also been included in the Security Council’s referrals of Darfur and Libya to the Court. Indeed, Argentina decided not to co-sponsor the draft resolution arguing that Council was propagating referrals which undermine the ICC and entrench a system of uneven, selective justice. Meanwhile, Costa Rica highlighted problematic aspects of the draft resolution and called for reform of the Council’s working methods when dealing with grave crimes. Convincing powerful Council members with entrenched political interests to abstain from using their veto power is an uphill battle. However, the latest attempt to refer Syria to the ICC for investigation has demonstrated that there is a definite, and growing, momentum towards international accountability for grave crimes. To achieve this in situations where the ICC does not have jurisdiction requires an urgent de-politicization of the decision-making process in the Security Council. The question now is how long veto-power wielding permanent members can continue to hold out in the face of mounting public pressure for justice. What do you think – Should permanent Security Council members refrain from vetoing resolutions related to the prevention of mass atrocities?